Have an incentive to get into bed, such as a good book you are excited about reading. Get into bed and listen to a relaxing meditation. Insight Timer is a good app or Louise Hay on YouTube. 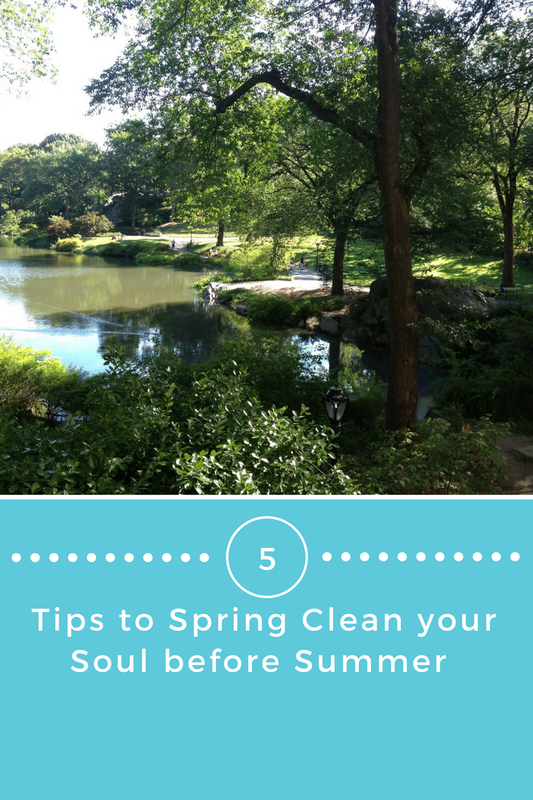 If you haven’t done your spring cleaning yet, now is the time! Spring is all about new beginnings and is the perfect time to get organized and de-clutter your house/apartment which also helps to de-clutter your mind. I read the book “The Lifechanging Magic of Tidying Up” by a professional Japanese Organizing Consultant, Marie Kondo. After I got rid of unused items and organized my items, I was inspired to get organized in other areas of my life. Ex: writing down to-do lists and being more consistent with calendar items. Writing to-do items seemed to make me less stressed without the pressure of having to remember so many things. It works! When I am in my bed about to go to sleep and my room is clean, clutter free and filled with items and clothes that I really like and respect, I feel calmer and happier. When I have items I am holding on to that I am not excited about having, it is like having extra baggage or weight added to my room, which I feel when I am around these objects. Kondo recommends for people to go through this process by themselves in order to fully get a good feeling from the purge. I did feel a sense of relief when cleaning out my items. If you are not great at organizing, It is a good idea to go through your items on your own, as Kondo recommends and to get a professional to help organize. If you are in NYC or Long Island, check out Jamie Horderly. Below is an impressive before and after example of Jamie’s work.